The kids will be headed to school soon. 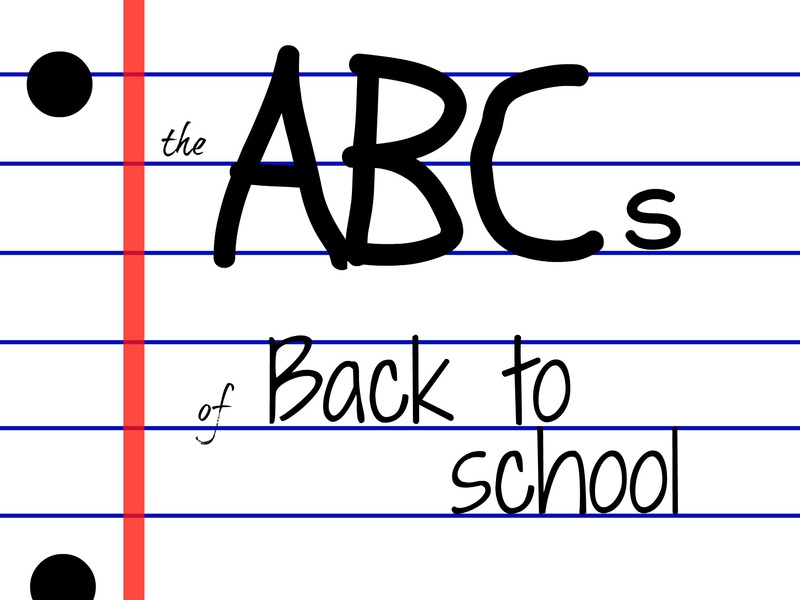 That makes it the perfect opportunity for you to brush up on your ABCs… the ABCs of back to school that is. 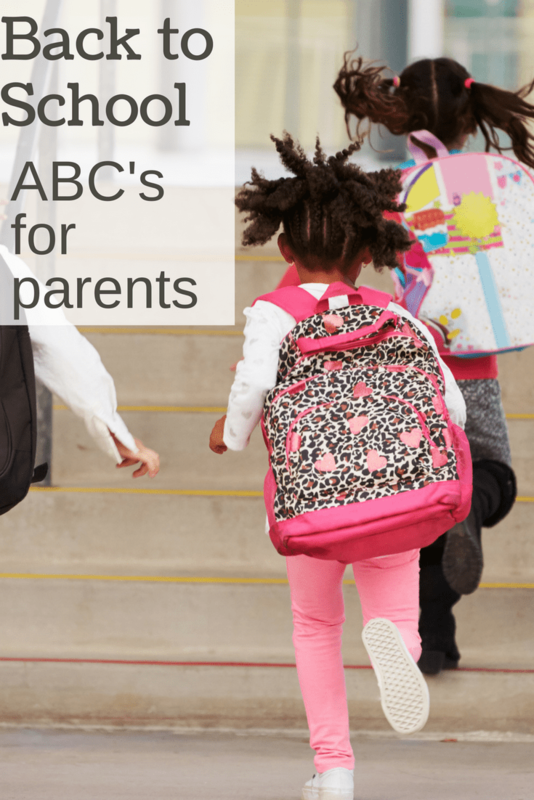 This back to school tips list has everything you need to kick off this school year right. From how to preserve apple slices to tips for getting plenty of zzzz’s (you know the sleepy kind). Knowing these ABCs will help make this year a success for everyone! A for APPLE. Who doesn’t think of apples when the topic of back to school comes up? For this quick tip we’re going to focus on apple slices for school lunches. I found this awesome list of tips for keeping apples from browning. The Yummy Life shares 9 ways to prevent apples from browning so you can try the method with ingredients you already have. B for BACKPACK. Keeping the backpack organized is important and tricky! Decide on a routine that will work well for your family. Will you clean out backpacks every Friday before the weekend fun starts? Every afternoon? Maybe mornings before school will actually be the best time for you. No matter when you think will be best, having a set time will help make sure it actually gets done. C for COFFEE DATE. The first day back to school is a big deal for you too! Grab some of the other parents and head over to the nearest coffee shop. While you’re at it schedule a weekly meet up after drop off. D for DOWNTIME. Those first few days of school are exhausting! Making new friends, learning new rules, mixing excitement with anxiousness. It’s a lot. If at all possible make sure that there is room in your schedule for quiet afternoons. Move things around so that the kids can come home and enjoy some downtime. E for EXERCISE. Add movement to your morning routine. That way your kids can get out some of their wiggles before sitting down to learn all day. Here are some great indoor movement activities. F for FRIENDS. Arm your kids with three questions to help them start conversations. Especially for kids who have a harder time meeting new people, having something to ask right away can help ease the tension. G for GERMS. What happens a couple weeks into the school year? Sick kids. Make sure your kids are washing their hands the right way with this fun hand washing activity. That way your kids might miss the back to school bugs. H for HOMEWORK STATION. Create a fun portable homework station like this one. I for IDEA. Anytime a big change in routine is about to happen, I get a lot of new ideas. Ideas for how to improve our routine, ideas for how to connect or just ideas to make life better in general. 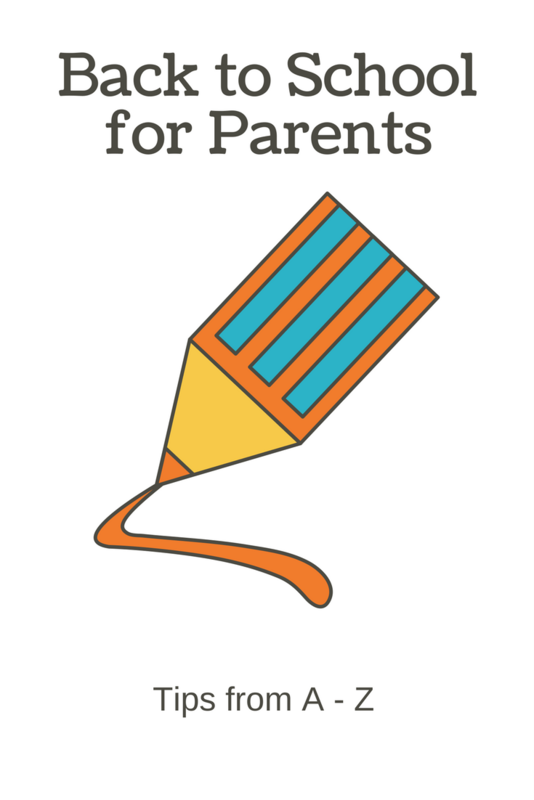 Start an idea list for all the great back to school tips you think of (or overhear someone talking about). K for KEEPSAKE. Every year the kids come home with so many neat things that mark their age and growth. This memory box from Your Vibrant Family is a fantastic way to store the stuff you want to keep forever! L for LAUGHING. Pack a silly little surprise along with that yummy sandwich! Here are 15 printable School Jokes that are perfect for back to school! M for ME TIME. Let’s be honest about the short window of time the kids are at school, that blank slate will soon be filled to the brim with things you must get done. Start the year off by set up time for you before anything else. What does me time look like for you? Depends on what fills you up. Here is a list of me time activities to get you thinking. Here’s a bonus tip… if you write TIME FOR ME on the calendar now you can fill that time with anything you want! N for Notes. My son asked for no more lunch notes (too embarrassing) so I sent jokes instead. I’ll be leaving a love note under his pillow instead! O for Organize. Set yourself up for success but getting the things you use to run the family organized. Go through your recipes, clean out fridge where you keep lunch box food and make sure you have a family calendar ready! 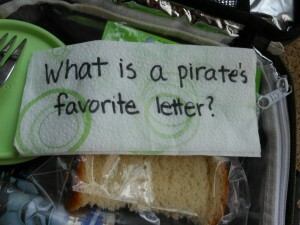 P for PAPER. Paper!!! School means paper. So much paper! Be ready for all that paper by setting up a system to store it as it comes in or cleaning up the space you already have. Q for QUESTION. Get the kids talking on the way home from school by asking specific questions about their day. Here are 10 after school conversation starters to get you going. R for ROUTINE. Establish a morning routine that leaves everyone feeling successful and connected. Use a morning checklist to help! S for STYLE. Yes, I’m talking about your style. Pick up and drop off is as good a time as any to feel good and put together. Clothes, shopping and style are not my thing that is why I love the Get Your Pretty On style challenges. T for TRADITION. It seems like Pinterest has encouraged an increase in traditions and celebrations. I like to lean towards simple with anything like that. While traditions are important, it’s also important that they don’t add extra stress. Pick one or two back to school traditions that really mean something to you and skip the rest. U for UNIFORM. Uniform or not… kids will need clothes. Use this printable school clothes checklist from She Knows to make sure you get everything! V for VOLUNTEER. A great way to kick off the year is to find out how you can help at the school. Volunteering can look different for everyone and there are ways you can still help even if you can’t work in the classroom. W for WATER. Make sure to pack plenty of water. Thermos insulated drink bottles are our favorite way to keep the kids hydrated. They keep the water cold, come in tons of different colors and designs and are very durable. X is for EXTRA CREDIT. Score some extra credit with the school office staff. A good relationship with the people who keeps tabs on everything can be very helpful. Stop by with some super cute cupcakes just for them. Y for YOUNGER KIDS. Is there still a little one (or two) at home with you when the big kids go off to school? Plan a fun activity just for them It Looked Like Spilt Milk Activity, DIY Backyard Explorer Kit, and Homemade Play Dough, were some of our favorites. Z for ZZZZZZ. Sleep is important all the time, but it is especially important for making sure everyone is well rested for school. Check out our method for getting the gets to go to bed and creating a night time routine we all love. What are you doing to prepare for back to school? Leave a message in the comments! This back to school tips post originally appeared on Aug 15, 2012. Wow what a nice alphabet. And we are one letter of it. LOVE this list. 1day for us is preschool on the 11th September – still 3 weeks away but I’m so not ready for it. It’s terrifying and exciting at the same time – if that’s me I don’t know what J is feeling like. Probably just excited. 🙂 I never really had a hard time with Big M going to school but Little M felt so different. She’s so little, plus she’s my youngest. It all went very well, and she is happily a Kindergartner now. Good luck Cerys, can’t wait to hear how it goes.